We were going for "rustic, but refined" here, so we built this project with soft maple for its varied colour and grain. The far right cabinet is for clothes storage and is lined with aromatic cedar at the back. 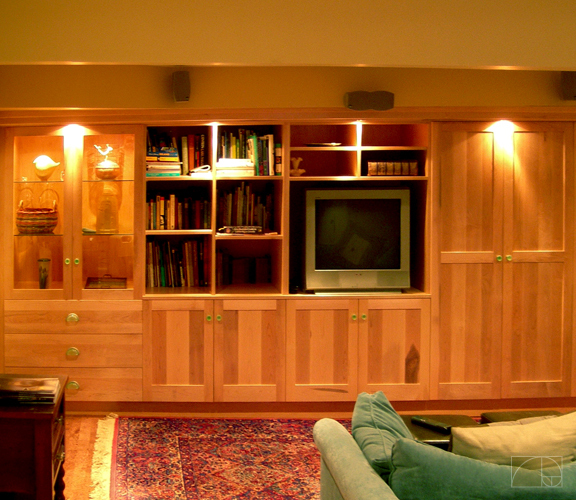 Under the TV are all the electronics, which are behind doors that pocket away once opened.